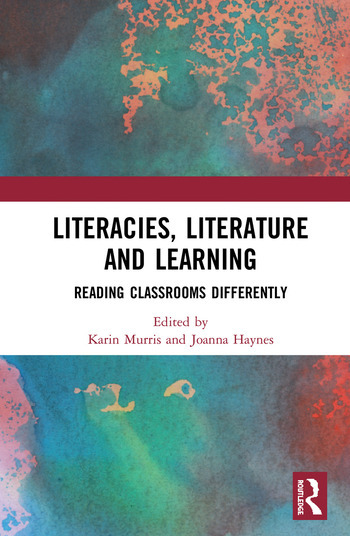 Literacies, Literature and Learning: Reading Classrooms Differently attends to pressing questions in literacy education, such as the poor quality of many children’s experiences as readers, routine disregard for their thinking and the degrading impact of narrow skills measurement and comparison. This cutting-edge book moves beyond social, psychological and scientific categories that focus on individualistic and linear notions of the knowing subject; of progress and development; and of child as less than fully human. It adopts a posthumanist framework to explore new perspectives for teaching, learning and research. Authors from diverse disciplines and continents have collaborated to interrogate the colonising characteristics of humanism and to imagine a different – more just - reading of a literacy classroom. Questions of de/colonisation are tackled through the exploration of both education and research practices that seek to de-centre the human and include the more than human. Inspired by an example of high quality children’s literature, playful philosophical teaching and the power of the material, the authors show how the chapters diffract with one another, thereby opening up radical possibilities for a different doing of childhood. The book hopes to help transform adult-child relationships in schools and universities. As such, it should be of great interest to academics, researchers and postgraduate students in the areas of literacy, philosophy, law, education, the wider social sciences, the arts, health sciences and architecture. It should also be essential reading for teacher educators and practitioners around the world. Karin Murris is Full Professor of Pedagogy and Philosophy in the School of Education at the University of Cape Town, South Africa. Joanna Haynes is Associate Professor in Education Studies at Plymouth University Institute of Education, UK.